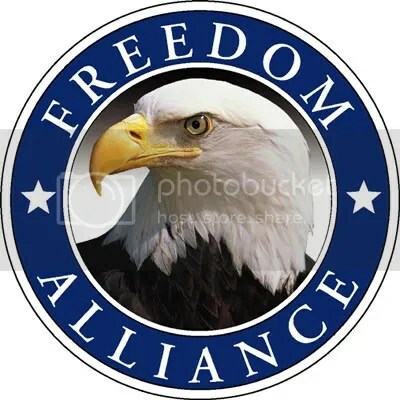 Freedom Alliance is a non-profit organization devoted to honor military service and to appreciate the members of the services along with their families and children for the sacrifices they make to protect the freedom of our country. If only we could do it more often. Freedom Alliance recently organized an Appreciation Dinner at Wagon Steakhouse in Leesville, Louisiana for 55 members of the service, along with their families, stationed at Fort Polk. The night was organized to honor service members for their service towards protecting freedom and their country. Such nights must be organized more often to show appreciation to everyone in the armed forces and to show them that everyone doesn’t laze on their couches and watch TV all day while they are defending the sovereignty of the United States. Some of us are indebted for what they do. Organizations like Freedom Alliance make it a point to thank and appreciate the service members for their service and sacrifice. They host Appreciation Dinners for stationed as well as wounded members of the troops on a regular basis at all its branches across the country. Freedom Alliance also hands out “Gifts from Home” packages to service members stationed overseas. It also organizes several other programs for service members and their families including scholarships to children of celebrated war heroes. Sometimes, these little things make all the difference. Freedom Alliance President Tom Kilgannon stated that “”Words like duty, sacrifice and honor are defined by the men and women of the U.S. military.” He said that his organization worked very hard to show soldiers that they are understood and supported. Freedom Alliance hopes that through these dinners, they can honor the brave service members as much as they honor us. A noble thought indeed.